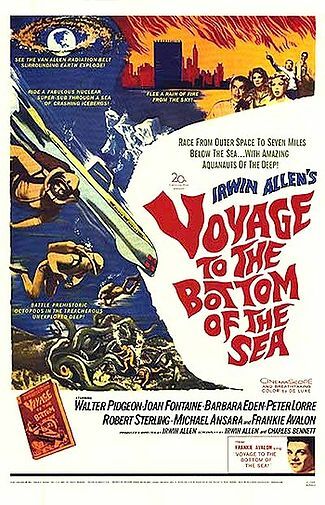 Voyage to the Bottom of the Sea, Crack in the World, and Fantastic Voyage are Science Fiction Movies that have themes different from most science fiction movies of their era or any era. They were set in the near, not dystopian, future. These movies had good production values and good casts. They were a good mixture of science fiction and drama. 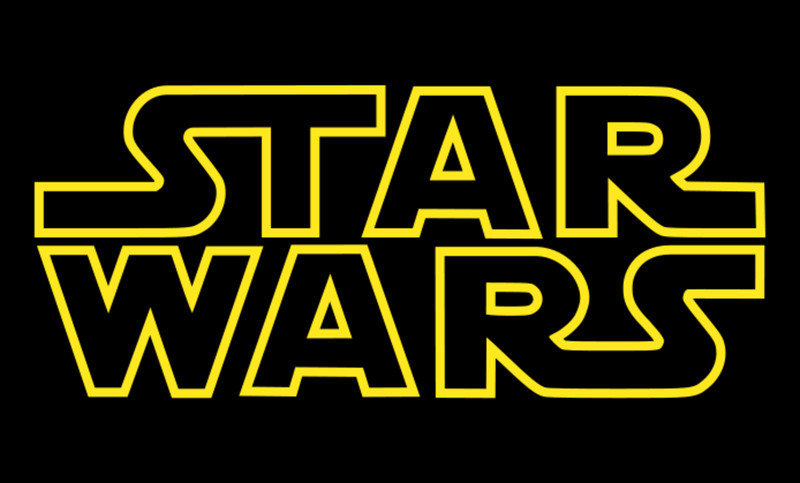 This article contains spoilers for these movies. This 1961 movie spawned a successful television series. The movie is set aboard a new nuclear submarine, Seaview. Unlike military submarines the Seaview is painted white and has large windows in the bow. The submarine is large, spacious, and serves a military and scientific research purpose. The movie begins with some VIPs, and the audience, getting a tour of the Seaview. The VIPs include Dr. Susan Hiller (Joan Fontaine). When she mentions to Admiral Harriman Nelson (Walter Pidgeon), who is also a scientist, she is the only woman on the ship he corrects her. He takes her to see his assistant, Lt. Cathy Connors (Barbara Eden). He finds her having a good time dancing with the crew. Admiral Nelson is not pleased. On the tour they also meet Commander Lucius Emery (Peter Lorre) who is in a large tank with a sick shark. The plot thickens when a cloud cover over the earth is heating the planet. At a United Nations meeting Admiral Nelson proposes firing a nuclear missile from Seaview at a specific place would destroy the cloud cover and return the earth to normal. Another scientist objected claiming the cloud cover would destroy itself at 160⁰ Fahrenheit and Nelson’s plan will blow the up the planet. When the UN opinions go against Admiral Nelson he makes a dash to Seaview and crash dives in Turtle Bay with the MPs on the Seaview’s deck trying to get in. This is the first of many disagreements Captain Lee Crane (Robert Sterling) has with Admiral Nelson. Crane trusts Nelson’s scientific judgment but not his command decisions. Later when they board a merchant ship with a dead crew they learn all efforts would be made to stop them. Nelson decides to continue with his objective. He allows any crew member who does not want any part of it could leave on the merchant ship. Captain Crane questions this decision because he felt they would need every man. Admiral Nelson felt a small loyal crew would be better than a full, but less reliable, crew. The obstacle they faced on the way was a minefield and an attack by another U.S.N. submarine. Along the way they also picked up a religious shipwreck survivor. When they neared their objective the earth’s temperature went above the temperature where other scientists said the cloud should burn itself up. Dr. Hiller decided Admiral Nelson had to be stopped. She attempted to sabotage the Seaview. In the attempt she exposed herself to a lethal amount of radiation. When the Seaview shook[i] she fell into the tank with the now healthy shark which ate her. The religious shipwreck survivor also tried to stop Admiral Nelson because he concluded Admiral Nelson was interfering with the will of God. The Seaview overcame all its obstacles, fired its missile and destroyed the cloud layer. Admiral Nelson saved the earth. There were no real “bad guys” in the movie. There were just people who had a different opinion on how to deal with the possible end of the world. 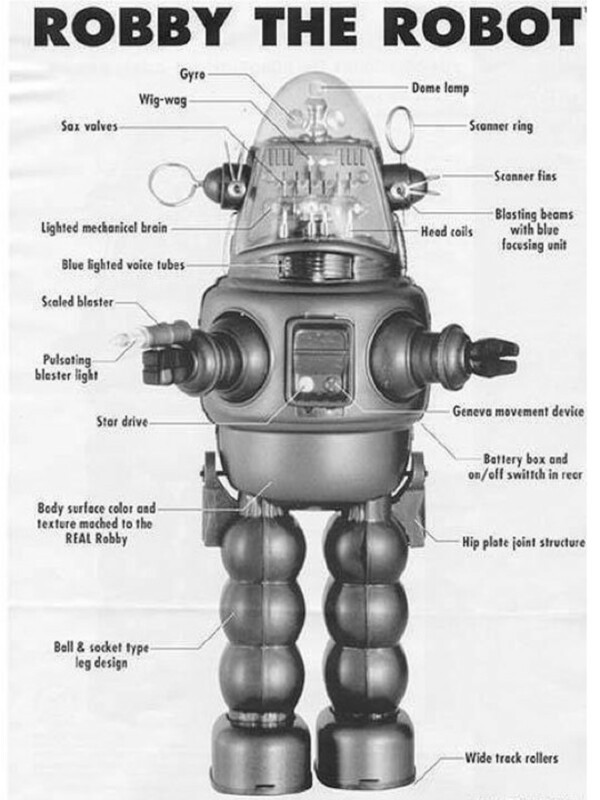 [i] The Seaview shaking was a staple throughout the Voyage to the Bottom of the Sea television series. In this 1965 movie a scientific project is attempting to drill into the earth’s mantle. The problem is they found the mantle was surrounded by a shell they couldn’t drill or blast through. The head of the project, Dr. Stephen Sorenson (Dana Andrews), wants to burn through the shell with an atomic bomb. He makes his proposal to a group of decision makers. He hits a piece of glass with a hammer to demonstrate Dr. Ted Rampion’s (Kieron Moore) theory. Dr. Rampion’s theory is the shell had been damaged by underground atomic testing and an atomic blast would crash through the shell. Then Dr. Sorenson demonstrated his theory which the other scientists on his team also believed. He burned through a piece of glass because he believed the atomic explosion would burn through the shell. Dr. Sorenson gave no data to back up his theory. When Dr. Rampion returned to the project’s headquarters he learned Dr. Sorenson had kept him away from the decision makers. The decision makers had already given approval for the atomic blast. Dr. Rampion took his data to one of the decision makers. The decision makers decided to delay the atomic blast to study the data. The decision came too late because Dr. Sorenson had already used the atomic bomb. All seemed well. The earth would have unlimited energy and plenty of minerals at its disposal. Then a series of earthquakes proved Dr. Rampion was correct. The blast had created a crack in the world that was traveling at 3 miles per hour. If the crack couldn’t be stopped it would destroy the world. Dr. Sorenson was married to one of his former students, Dr. Maggie Sorenson (Janette Scott). She had been Ted’s girlfriend before she fell in love with Stephen. Stephen soon learned he was dying and didn’t want his wife to know about it. About 6 months into the crisis the scientists develop a plan to stop the moving crack. The plan is to explode another atomic bomb in the crack’s path. The explosion causes another crack that is moving faster and in another direction. The two cracks are on an eventual collision course. When the cracks converge the pressure will blast a piece of the earth into outer space. It will save most of the earth and bring about the birth of another moon. Dr. Stephen Sorenson refuses to leave the complex because he wants to record this event. Maggie and Ted have a harrowing escape from the complex and they get to see the formation of a new moon and rekindle their romance. This movie didn’t have any “bad guys”. Dr. Stephen Sorenson wanted to live to see his work completed. His motive was a valid attempt to bring about a better world. He quickly realized his mistake and worked hard to figure out a way to correct it. The movie did attribute some blame to underground nuclear testing. This 1966 movie opens with an assassination attempt. The intended victim is a defecting scientist (Jean Del Val). He was severely injured. Grant (Stephen Boyd), who brought the scientist to the U.S., is brought into a high tech complex. They explain to him the organization is able to shrink things to microscopic size. They can only keep things this size for an hour. The foreign scientist had the secret to enable them to keep things smaller for longer. The scientist was in a coma and the plan was to shrink a submarine and a crew to microscopic size so they could operate on him at the microscopic level. They picked Grant as part of the crew because they suspected one of the doctors, Dr. Duval (Arthur Kennedy), might be an enemy agent. Dr. Michaels (Donald Pleasence) would tell Grant if Dr. Duval was doing anything to hurt their patient. The crew included Cora (Raquel Welch) who was the technician for the laser gun that would be used in the surgery. Captain Bill Owens (William Redfield) would pilot the submarine. The movie goes through the phases of the shrinking process in great detail. The medical staff injects the submarine and its crew into the patient and the fantastic voyage through the human body begins. Dr. Duval attributes the human body to a miracle of God and Dr. Michaels attributes it to an evolutionary accident. The laser gets damaged which could have been an accident or sabotage. There is a saboteur on board. The saboteur may come as a surprise to a 21st century viewer. There was a 1968 animated TV series based on the movie. The movies premise is comically implausible. The Simpsons also spoofed this movie in Treehouse of Horror XV. 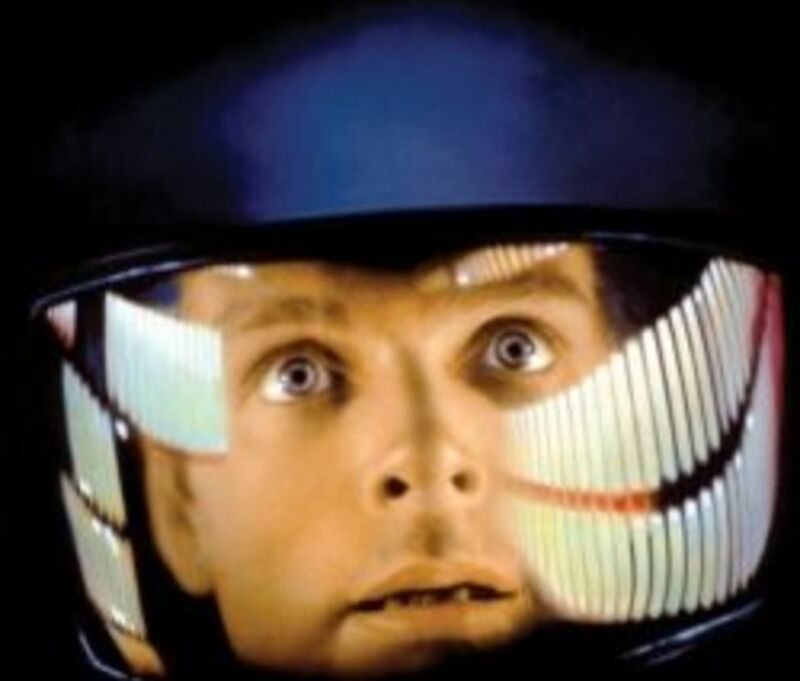 The 1987 comedy Innerspace also had the premise of a miniaturized man inside someone’s body. Today sending a miniaturized camera on a fantastic voyage inside the human body is a routine medical procedure. Using a laser beam as a medical instrument is also a routine medical practice. Researchers are working on medical and other applications for nanotechnology. 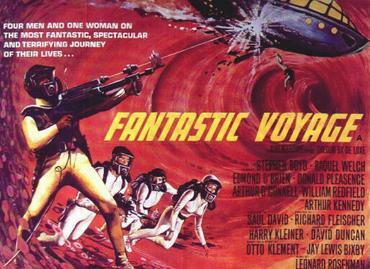 Fantastic Voyage is a good example of how many aspects of improbable science fiction can become science fact. This film will take you where no one has ever been before; no eye witness has actually seen what you are about to see. But in this world of ours where going to the moon will soon be upon us and where the most incredible things are happening all around us, someday, perhaps tomorrow, the fantastic events you are about to see can and will take place. Glad you enjoyed reading. Yes, it's fun to watch the old science fiction movies and TV shows and see the hits and misses. It is so true that often what authors of science fiction write later comes to fruition. Your nanotechnology example from that Fantastic Voyage movie is just one example. Enjoyed reading this. I can remember these movies as a kid! Voyage to the bottom of the sea was a favorite TV series of mine! Yes, they are worth a look. Fantastic Voyage came out the same year as One Million Years BC. In this movie Raquel Welch was fully dressed. 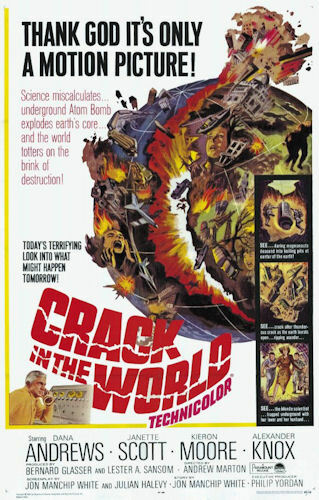 Crack in the World came out the decade before the famed "Shake & Bake" movies. Voyage to the Bottom of the Sea was one of a few undersea movies that came out at the time. It arguably had the most interesting plot line. I haven't watched any of the above but it certainly tickles me to watch at least one of the above. Thank you very much. Glad you enjoyed the Hub.